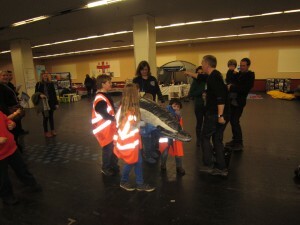 WhaleFest was simply amazing! 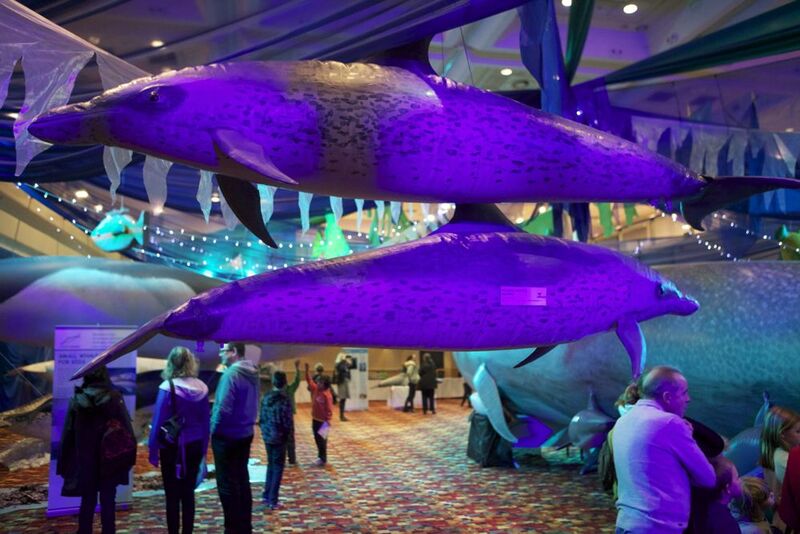 Bringing together top cetacean scientists, conservation advocates, whalewatching companies and nearly 6,000 of the ocean loving public, this 4-day marine mammal extravaganza was well worth the jetlag. In its second year, the event was described as the “world’s premier whale, dolphin and marine festival” and lived up to it. 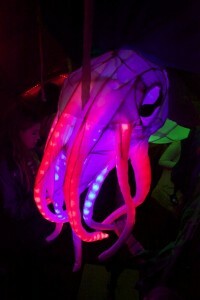 I was seriously impressed and offer hats off to organizers Ian Rowlands and Dylan Walker, cofounders of Planet Whale. 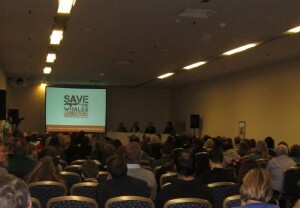 Preceding the weekend event were concurrent 2-day meetings of whale watching operators and prominent NGO’s. These two mini-conferences culminated in naming a ‘Responsible Whale Watch Operator of the Year’ from the operator’s camp, and from the conservation side of the hall, launching a new campaign; Save the Whales: Reloaded. Captain Gene attended the operators meetings and proudly accepted the award on behalf of Conscious Breath Adventures as well as making strides towards Planet Whale’s goals; creating connections and community within the industry that will raise standards and promote ethical whale watching. Feeling dwarfed in a sea of inflatable life size whales and dolphins. 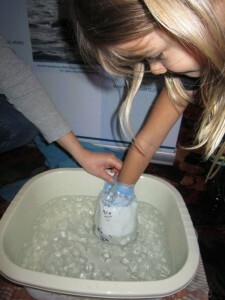 Trying on a simulated blubber glove! 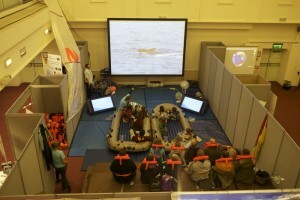 Going virtual whale watching off the Azores. Watching Capt. 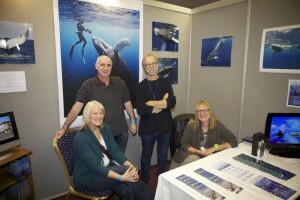 Gene participate in a panel discussion “Bill’s Big Whale Grill” with Bill Oddie, Ingrid Visser and Mark Simmonds. Hanging out in the belly of a sperm whale. Practicing a dolphin rescue and learning about strandings. Wondering about the water temps as kids splashed in the try-SCUBA tank! 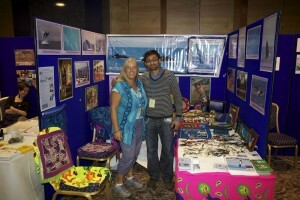 Spending time with some of our awesome guests at Whalefest 2012. Thank you! We’ll be watching for news of WhaleFest 2013. A visit is highly recommended, great job guys! Thanks for inviting us and a hello and thank you to all we met at the event. Feeling inspired, we cannot wait to get back in the water ourselves, so counting down the weeks now until the 2013 season starts. Hope to see you there!